We are pleased to be suppliers of two high-quality certified organic companies: The Highland Soap Company and Green People. The Highland Soap Company is a family-run manufacturing business based in the heart of the Scottish Highlands. They use traditional handcrafted manufacturing processes with an emphasis on local fresh, natural ingredients and herbal therapy. The plant ingredients, precious oils and butters are grown organically, ethically or wild-harvested. Their products are certified organic and vegetarian friendly. There are no genetically modified (GM) ingredients and all products are 100% Cruelty-Free, and not tested on animals. The non-vegan ingredients used are honey and beeswax. All are free of SLS and Parabens. Packaging is sourced from sustainable and recycled supplies. 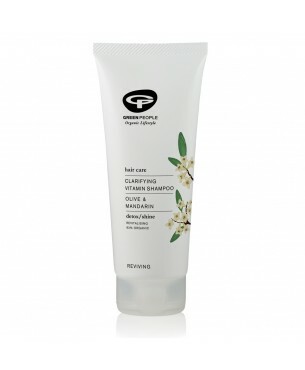 Green People are committed to offering handmade organic health and beauty formulations. 10% of profit is donated to charities. All products are suitable for vegetarians and most are approved by the Vegan Society. They are produced with organic constituents, are cruelty free and free of sodium lauryl/laureth sulphate, synthetic fragrances, petrochemicals, ethyl alcohol and colourants.